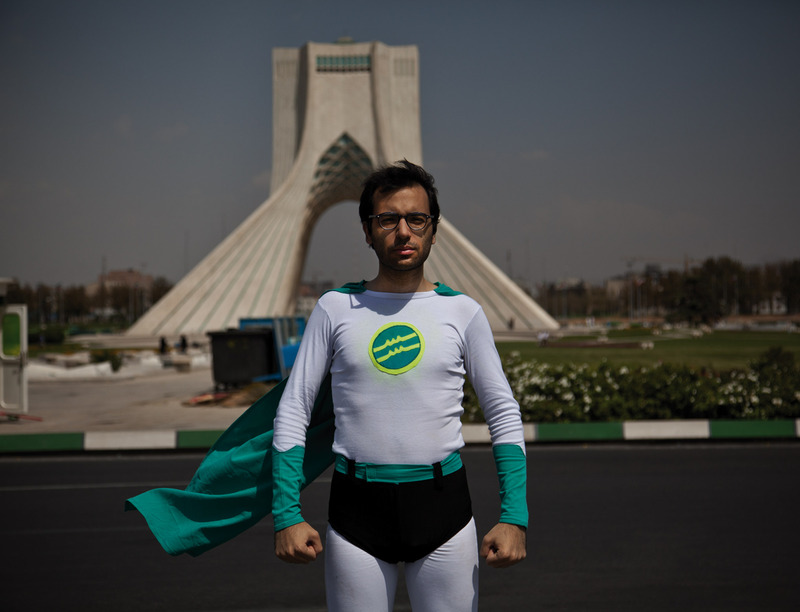 The Super Sohrab series comprise performative interventions presented in photographs, videos, and comics. 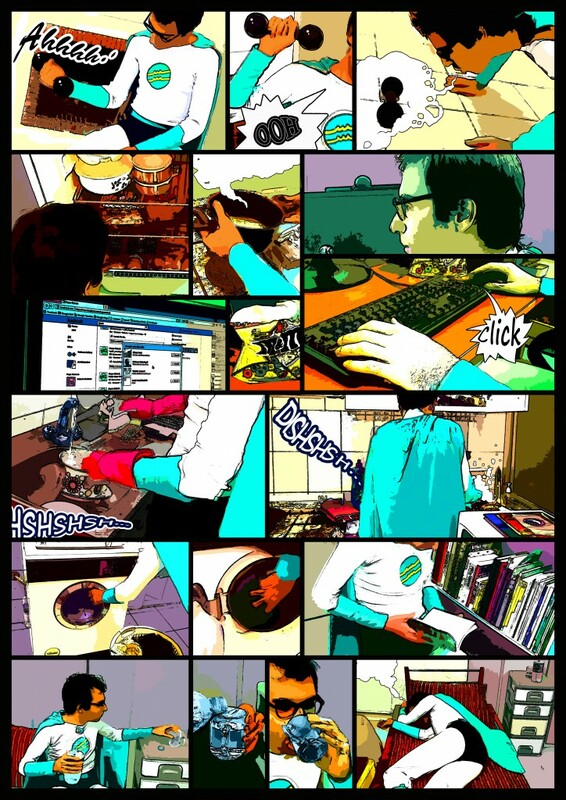 The Adventures of SuperSohrab may appear rather mundane — the protagonist, Super Sohrab, cooks, washes the dishes, does the laundry, reads, checks-in on Facebook, and goes to sleep. These may be familiar tasks taken for granted; familiarity of consumption aided by brand recognition — such as Facebook, the English titles lined on the bookshelf, candy, and even the customized Superman costume appear somewhat familiar. Yet the site of these apparently mundane activities — Tehran, 2011 — complicates the performance — it is not always possible to access Facebook, to get a book, to go to another country, to open a bank account, to wear a silly costume, and to make art according to one’s liking. Counterfeiting supermanhood in Tehran further complicates global branding and consumption in the environment of increasingly sanctioned economic exchanges between Iran and the US and EU; as daily acts of living and working that are granted may also be sanctioned and require extraordinary efforts to perform. SuperSohrab takes it in stride. Sohrab Kashani is the founder and director of Sazmanab Project http://www.sazmanab.com/; and curatorial partner of OtherIS. Transnational collaboration is met with critique on December 29, 2011 from Moroccan-Saoudian-Algerian-Egyptien (sic)-Palestinian HACKERS who “just Want You To Stop Your Terrorist! Crime”: http://www.sazmanab.org/index.php?/about-this-site/ SuperSohrab in action!